In an effort to lose weight, I have cut out snacks and I am having difficulty eating three servings of dairy and fruit each day. This morning I pulled out a clementine to eat for breakfast, but I was tired of cereal and milk. I decided to eat a cheese sandwich. When I opened my Butter Bell, (see http://wp.me/pKNzn-yB) I noticed the butter was almost gone. Instead of spreading the butter with a knife, I used a small spatula to scrape the remaining butter out. I also used a different cheese slicer because I did not want a thick slab of cheese. 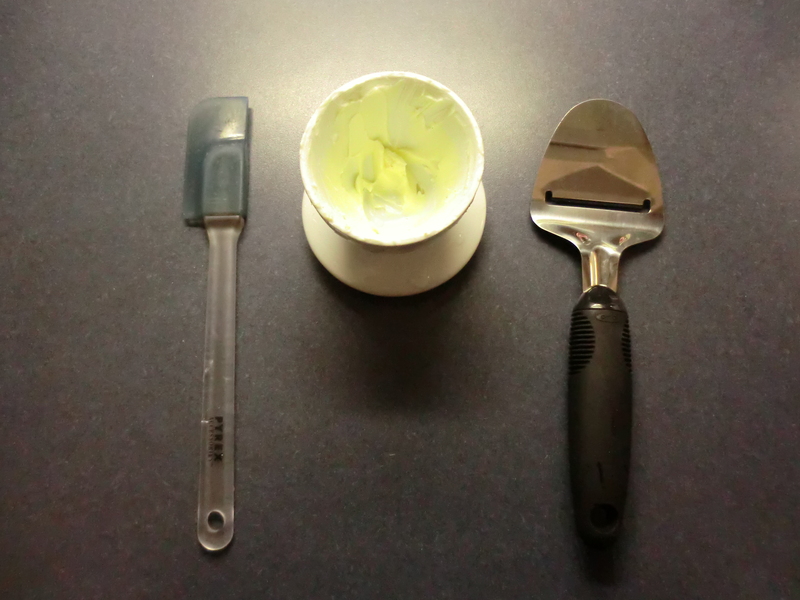 A small spatula removes the remainder of the butter. There was plenty of butter for my small cheese sandwich! 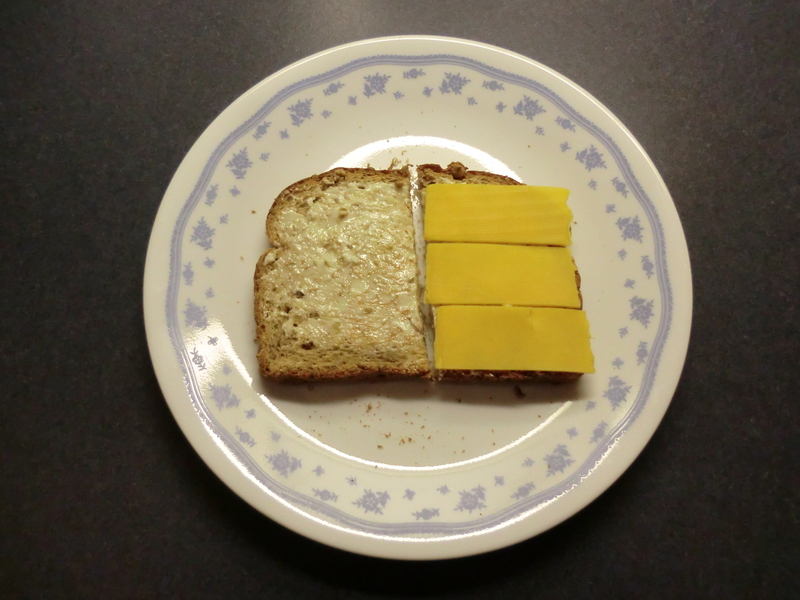 My cheese sandwich with thin slices using a different cheese slicer. This entry was posted in Food, Money Saving Ideas, Use What You Have and tagged Butter Bell, Food, Money Saving Ideas, Use What You Have by Frugal Fish. Bookmark the permalink.